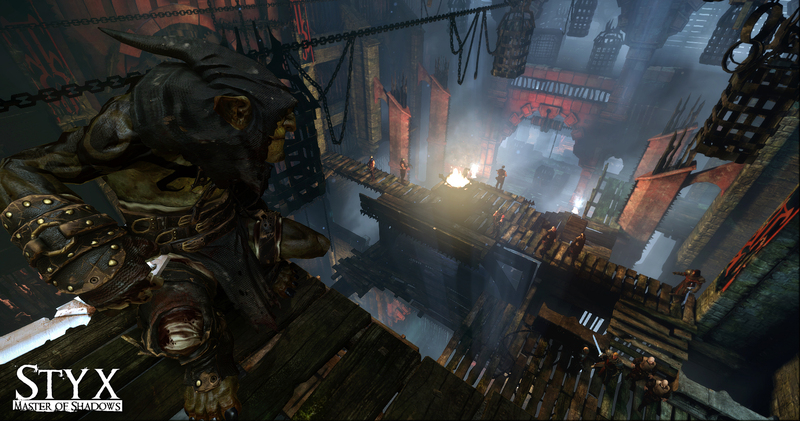 The goblin Styx ditches his orc pal from Of Orcs and Men to firmly put his stealth abilities to use in an infiltration game called Styx: Master of Shadows. 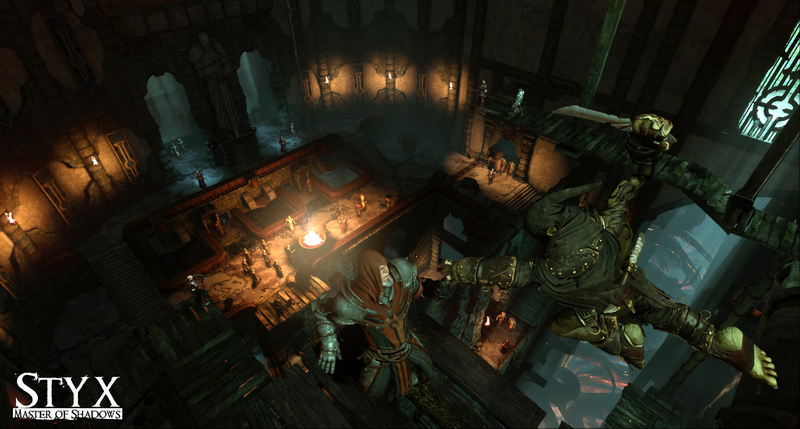 Cyanide Studios announced its next game, titled Styx: Master of Shadows. Not to be confused with rock band, Styx debuted in the developer's previous game Of Orcs and Men. Cyanide Studio and publisher Focus Home Interactive provided the first screenshots of the spinoff. Styx is a goblin and a master of stealth, theft, and assassination. He was a playable character in Of Orcs and Men, opposite the orc ArkaÃ¯l. Small and fragile, Styx is at his best when sneaking. 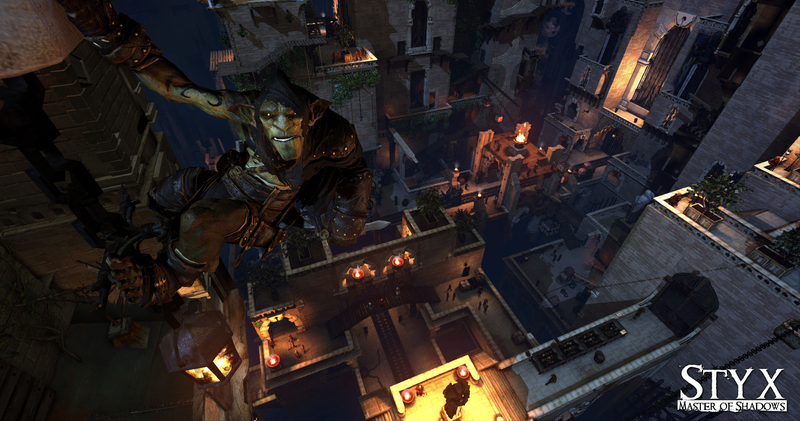 In Styx: Master of Shadows he's ready to take on a large heist, the miles-high Tower of Akenash. As such, the game will have a lot of vertical reach. Players will have to study enemy movements, staying out of sight as much as possible. However, "levels are open and the objectives can be completed in various ways," Focus Home Interactive stated. Styx will have treasure to find and secrets about his origins to discover. The publisher noted that Styx has RPG elements, such as the unlocking of new skills, moves, powers, and weapons in six talent trees. Powers such as invisibility will aid in Styx's stealthing. Various creatures guard the Tower of Akenash, home to the Tree and source of the Amber. Humans, elves, orcs, and "other, stranger creatures" guard the Tower. Guards and soldiers will adapt their behavior depending on your actions as Styx. Unsurprisingly, they will likely be more alert if you cause a visible disturbance. Styx isn't a hardhitter, so a full-out attack would never be wise. 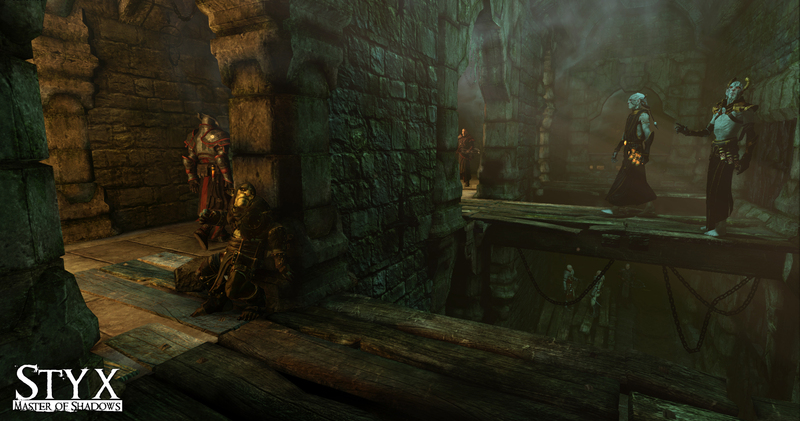 Styx: Master of Shadows will be available on PC this year.